“May the odds be ever in your favor.”, favorite line from book series’ film adaptation making it a worldwide phenomenon as it conquered not only the youth’s interest but of everyone who admired its rich plot, characters, settings and actors. 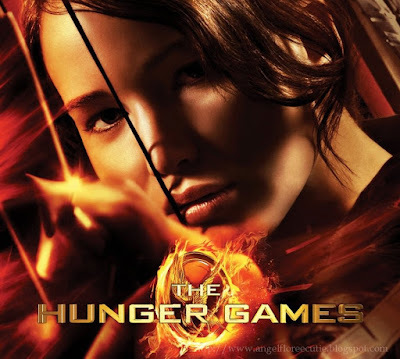 The first book of The Hunger Games trilogy, “The Hunger Games” written by Suzanne Collins with a genres of action, sci-fi and drama was released in September 14, 2008 and made such phenomenon and has been translated into 26 different languages all over the world. It tackles the theme of love, oppression, starvation, politics, society and rebellion. Released mainly on selected countries last March 21, 2012 and globally last March 23, 2012, it ranked third as best opening weekend box office regarding sales with $152.5 million in North America alone. 1. The Reaping: Katniss’ act of saving her sister from harm by volunteering as a tribute touched my heart. She loves her sister so much and seeing her so weak, she courageously shouted in the crowd that she just want to take her place. Jennifer Lawrence’s portrayal gave the scene so many emotions. 2. 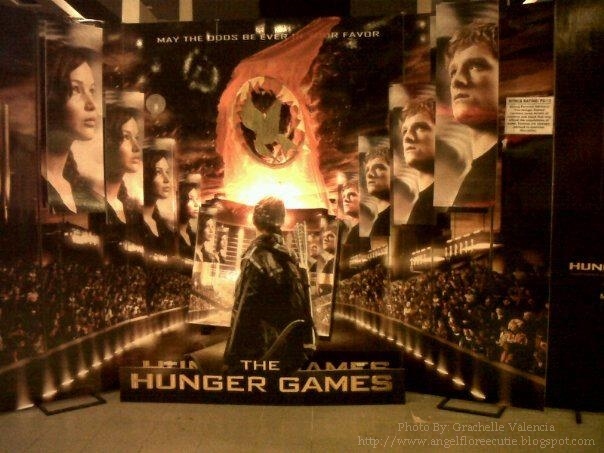 The parade of the Tributes: Katniss’ and Peeta’s fiery costumes raised my hairs. I think it produced such stimuli of courage and hope. 3. Rue’s Death: Teary eyed, I was when little Rue spoke to Katniss that she should win. We can see there the value of true friendship and care. I super love the kid! 4. Katniss and Peeta’s Kiss: We are not sure if Katniss really meant it or she has her full heart for Peeta that time but the kiss was just arousing. Love in the middle or a brutal game indeed served as their strength and power. Love conquers all! 5. Announcing of the winners: After deferring the new rule of two winners from the same district, emerging new love flick between Katniss and Peeta came to a very crucial conflict. Peeta decided that he should be the one who will sacrifice but Katniss’ wisdom of thinking they should die together defied the rule and the gamekeepers decided for the very first time that there are two winners.